“We believe in customer-inspired innovation.Due to soaring prices of TVs, there is a huge vacuum in the market for affordable TVs. With Detel D1 TV, we are all set to fill this gap under our mission #HarGharTV. We have always created products not to outgrow any other brand, but to be present where no other brand is. We aim to reach to the remotest parts of the country with our D1 TV and make a difference to the lives of millions,” said Mr. Yogesh Bhatia, MD, Detel. 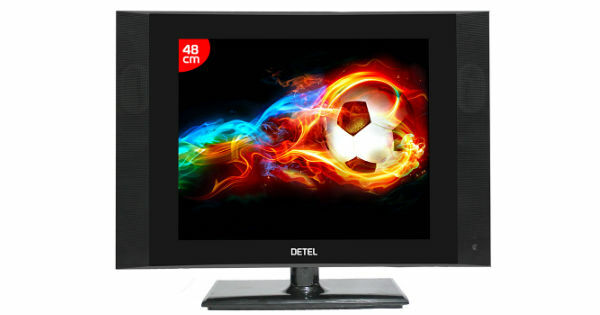 With its economical offering, Detel aims to cater to the poorest users, and considering that more than 33 percent of India’s population still doesn’t own a TV, this presents a huge opportunity for the company. Detel will also benefit from the recent electricity push by the government, which aim to bring electricity to every household in India by the end of this year. Detel was previously known for launching the world’s most affordable feature phone at Rs 299, which now retails at Rs 399 due to an upgraded chipset.